Based in the United Kingdom, Hawke optics are manufacturers of high quality spotting scopes, binoculars and rifle scopes. In 2007 a US Base of operations was added in Fort Wayne, Indiana to develop the US marketplace. Hawke currently supplies Spotting Scopes, Rifle Scopes, Airgun Scopes, Crossbow Scopes plus a full line of Binoculars and accessories to the UK and North America. 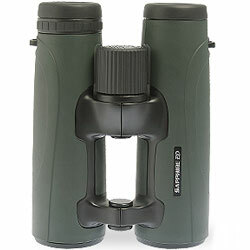 The range of Hawke binoculars has been continuously expanding and they now have a wide range of binoculars suitable for most uses including bird watching, wildlife observation, hiking and camping as well as hunting, sporting events and a series of close focusing binoculars ideal for viewing butterflies, dragonflies and other insects. The binoculars are grouped into a "Series" at various price points and quality of optics, their coatings and build quality. Hawks latest introduction is their premier, top spec Panorama ED series. Most impressively is the use of field flattener lenses that are designed to improve the sharpness and reduce the distortion on the edges of the image. 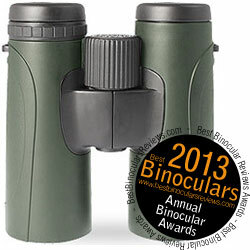 This is a sign of true quality as this expensive to produce and thus is only found on some of the best binoculars. Other very high end features include fully multi-coated optics with an ED Glass element within each the lenses and a Dielectric coating on the high quality Phase corrected BaK-4 prisms. As you would expect these Hawke Panorama binoculars are fully water and fog proof and to keep the weight down, but without sacrificing strength, they have a magnesium alloy body. Before the release of the Panorama ED (see above), the Sapphire ED was the flagship range from Hawk Sport Optics and I think their first venture into higher end optics. So even though they are now only second in line, they are still a great pair of bins with a host of higher end features all of which you can read about in my full Hawke Sapphire ED 8x42 Binoculars review. But to summarize, all models in the Sapphire series use roof prisms and come a tough magnesium body that is both water and fogproof, available in either an open bridge design or a more traditional single top hinge shape. High spec optical features include fully multi-coated lenses with ED Glass elements and dielectric coatings on the BaK-4 roof prisms. They have extra-low dispersion (ED) Glass lens elements which on a compact binocular is actually quite rare and really sets them out from the crowd. 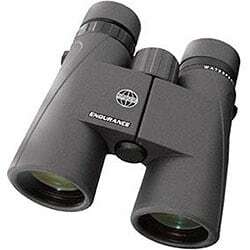 For more on this read my document on the best compact binoculars with ED Glass. As well as this, the optics are fully multi-coated and the BaK-4 roof prisms have also been Phase corrected. A real highlight is also their very close minimum focus of only 5.2ft (1.6) as anything under 6ft is considered excellent on BBR. 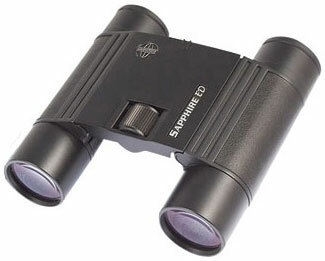 Twist up eyecups give you a good amount of eye-relief for a compact and the double hinge design of the fully fog and water proof body is also great as it enables them to be folded into a much smaller package than the more common single central hinge designs, making the compact Sapphire ED a true pocket binocular. The Endurance series from Hawke Sport optics is a mid priced range ( $210 to $300 / £110 / €150 - £290 / €300) that in my experience, in terms of features and the quality of components and coatings delivers way more than would you most often find at this level. On most of the models this includes the use of fully multi-coated optics with phase corrected BaK-4 prisms. 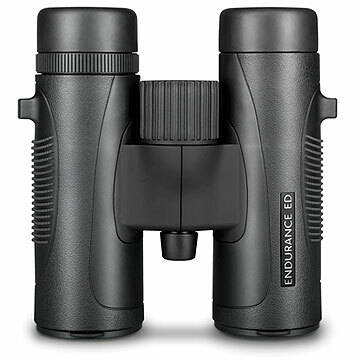 The inclusion of ED (extra low-dispersion) glass on the full sized models is really impressive for this price class and in my opinion (see my full Hawke Endurance ED 8x32 Binoculars Review Here) really does help lift them above much of their direct competition. The Hawke Endurance series consists of a wide range of configurations. Indeed there are five different sizes on offer (25mm, 32mm, 42mm, 50mm & 56mm) and each is available in a selection of magnifications (8x, 10x & 12x) as well as color variations (green or black). Before the introduction of the Panorama series, the Frontier ED's were Hawke Optics flagship models, so whilst now they may not take all the headlines, they still look to be a great binocular. Available in 4 different configurations in either black or green, all are roof prism binoculars featuring the distinctive 'open hinge' cut-away design that not only reduces weight, but comfortable to hold as well. The body's of these Hawke Frontier binoculars are made from magnesium alloy that reduces their weight even further and is exceptionally strong. Quality components and optics are used throughout with fully multi-coated optical elements and Phase corrected BaK-4 prisms that give a sharp and high-contrast image over the full field of view. In addition the ED (extra low-dispersion) glass increases performance further and enhances the light transmission. The binoculars are 100% waterproof and nitrogen purged meaning that the internal air has been replaced with dry nitrogen to ensure there is no internal fogging in areas of high humidity or rapid temperature changes. The binoculars feature twist-up eye pieces and a adjustable diopter and they all have a minimum focus distance of 6ft (2m) and an extra wide field of view. 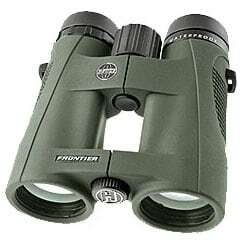 Second in the line of Hawke binoculars is the Frontier PC Open Hinge Series. 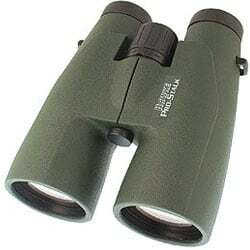 The PC in the name stands for their Phase Corrected optics, a very impressive feature for a binocular at this price as it is usually reserved for binoculars at a much higher price point. There are 2 sizes roof prism binoculars in the Hawke Frontier Phase range (8x42 and 10x42) available in either green or black. Apart from the ED glass they have many of the features of the Hawke Frontier ED range, including the 'open hinge' design that reduces weight and is really comfortable to hold. 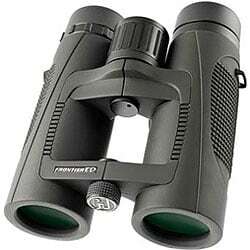 All Frontier Phase Corrected binoculars in this series have BAK4 Prisms, are waterproof and nitrogen filled to prevent internal fogging and have twist-up-eyecups that enable you to use them with or without eyeglasses. These Hawke binoculars still have all of the impressive features of the open bridged versions, but with a more traditional "solid" body. 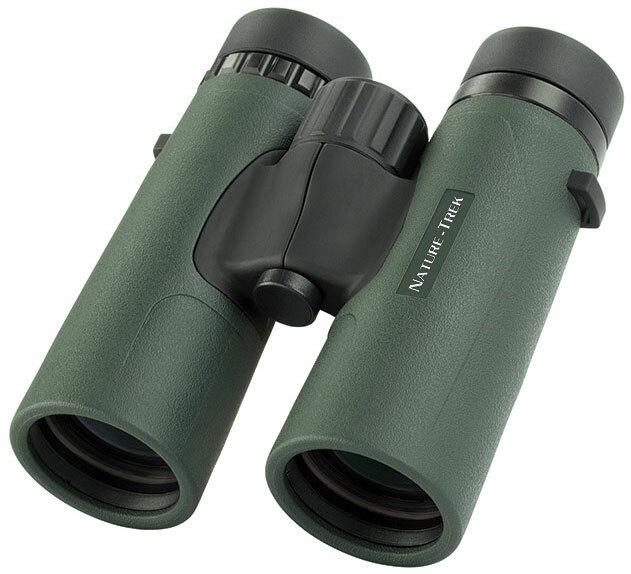 As well as the 8x42 and 10x42 versions, they are also available in the very travel friendly 8x and 10x32 mid sizes, making them an ideal choice as a safari binocular. Features include the excellent Phase corrected BAK4 prisms, fully multi-coated optics, twist-up eye cups and an adjustable diopter. All models are nitrogen purged to avoid fogging and they are sealed to be fully waterproof. 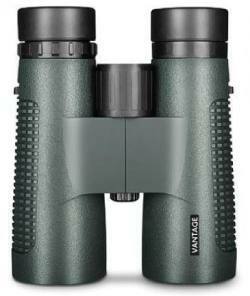 Hawke Frontier PC binoculars all come a lifetime warranty (restricted to 10 years in Europe). These really are the babies in the Hawke Frontier range, small in size, but packed full of quality features that include a body constructed using a tough magnesium alloy body making them light as well as rugged enough to withstand extensive travel. 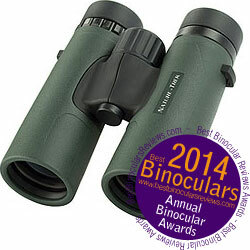 Theses compact binoculars are nitrogen purged to ensure that they are fully waterproof as well as fog proof. The lenses are fully multi-coated to give high light transmission and ultimate brightness and they have Phase Corrected Bak-4 prisms, making sure you get a very high quality image with plenty of color and contrast. What really sets compact binoculars apart is how small they are once folded. Many compacts only have a single hinge design, which restricts the size that they can fold to, whilst these have a duel hinge design, ensuring a more compact binocular once folded making them very easy to either carry or put into a pocket. For more take a look at my article on the Best Compact Binoculars which compares the single and duel hinge designs. 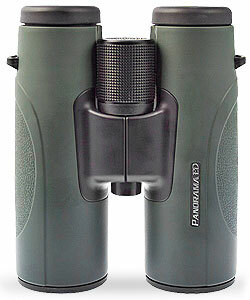 The roof prism Hawke Endurance binoculars are available in two sizes (32mm and 42mm objective lenses), each with 8x and 10x magnifications and each available in either green or black bodies. 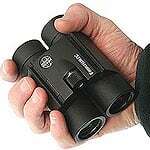 The minimum "close focusing" distance of these binoculars is 2m (6.6ft) which is good and should be more than close enough for most people and will make great binoculars for general birdwatching, wildlife observation as well as viewing butterflies and other critters close up. Features include quality BaK-4 prisms and fully multi-coated lenses which is good and they come with a hard protective case, stay on lens caps and comfortable neck strap. The Hawke ProStalk binoculars are specifically designed to work well when both birds and wildlife is most active - during the early morning, late afternoons and early evenings. This is also when light conditions are not at there best and so these binoculars with their large 56mm objective lenses provide up to 7mm of exit pupil (8x56), which is about the same that a healthy human eye can dilate to. this ensures that the maximum amount of light enters your eyes as possible. On top of this the ED (extra low-dispersion) glass coupled with the Phase Corrected Bak-4 prisms, ensures that the image is sharp, bright and colors are true. 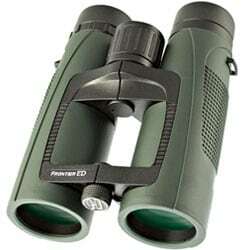 These binoculars are tough and waterproof and therefore make ideal Birdwatching and Hunting Binoculars. 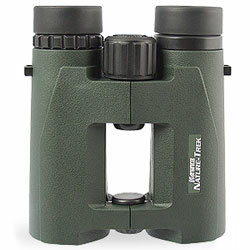 The new updated series of Hawke Nature-Trek binoculars now feature more models and a single top hinge design as opposed to the older open bridge Nature-Trek series (see below). 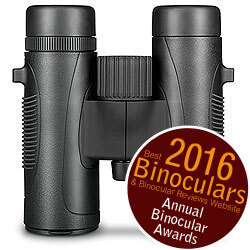 This series is still primarily priced to appeal to those looking for a good quality binocular but do not want to spend too much. Perhaps due to the previous versions success, there are now six models available, all of which use roof prisms: The standard sized 8x42 and a 10x42 versions, as well as mid sized 8x32 and 10x32 and the larger 10x50 and 12x50. The roof prisms are made from quality BaK-4 glass and the optics on all models are fully multi-coated. The Hawke Nature-Trek open bridge series is aimed at the more budget conscious consumer and currently consists of two models, an 8x42 and a 10x42 version. The roof prisms are made from quality BaK-4 glass, the optics are fully multi-coated. The ergonomic, weight reducing open hinge body is fully waterproof as well as fogproof and the 8x42 Nature-Trek in particular comes with plenty of eye-relief and a reasonably wide FOV:. Like many of their other ranges, the full-sized Hawke Vantage series is available in a choice of two colors (grey / green) and in either 8x42 or 10x42 configurations. This includes a fully waterproof body that is nitrogen filled to help with fog proofing. As you would expect at this level, the chassis is made from a polycarbonate plastic which may not be as robust as the magnesium ones used on their higher end models, but it does have the advantage of being more lightweight and unless your are particularly rough on your instrument should still be plenty strong enough. 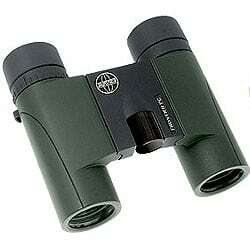 The optics are fully multi-coated and the use Schmidt Pechan roof prisms made from BaK-4 glass. 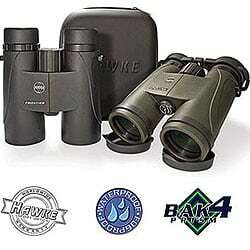 Below are a few featured and fully reviewed Hawke Binoculars: View >> All Hawke Binoculars that I have reviewed.